You know you want one. 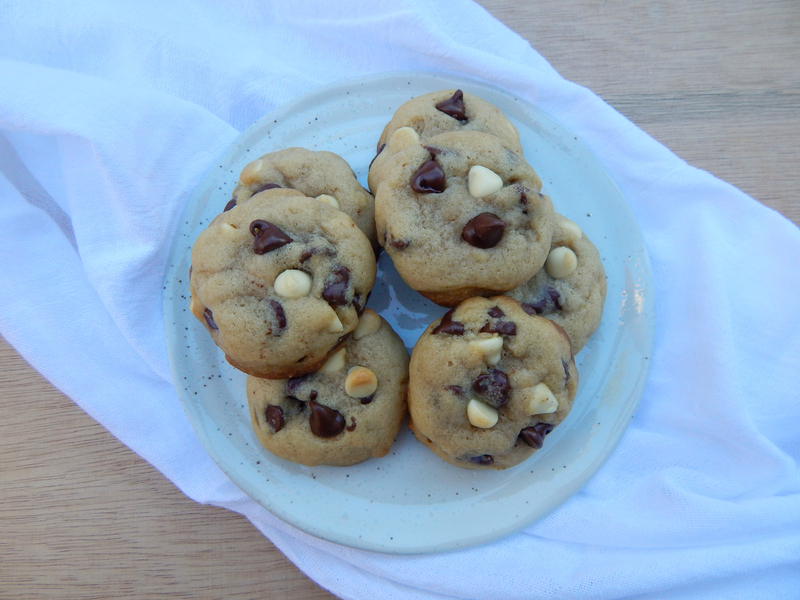 These soft, puffy chocolate chip and white chocolate chip cookies are made with a secret ingredient: coconut oil. These black and white tuxedo cookies will satisfy your sweet tooth and keep you wanting more. Did you have a bad day? Make these cookies. Did you have a fantastic day? Make these cookies. Do you see where I’m going with this? Make these cookies! Above are the steps to the beginning of this cookie dough. I use my trusty blue hand mixer, but you could also use a stand mixer or a whisk. Use a spatula to scrape down the side of your bowl. This recipe makes a small batch of cookies that is perfect for a small family or if you just don’t want to large of a batch. If you happen to taste this batter raw I wont judge you. The mixer attachments have to get cleaned somehow right? Mix in your chocolate chips by hand with a spoon or spatula. I wanted to bake with coconut oil for the first time, so I started experimenting. Four delicious batches of these cookies later and here we are. 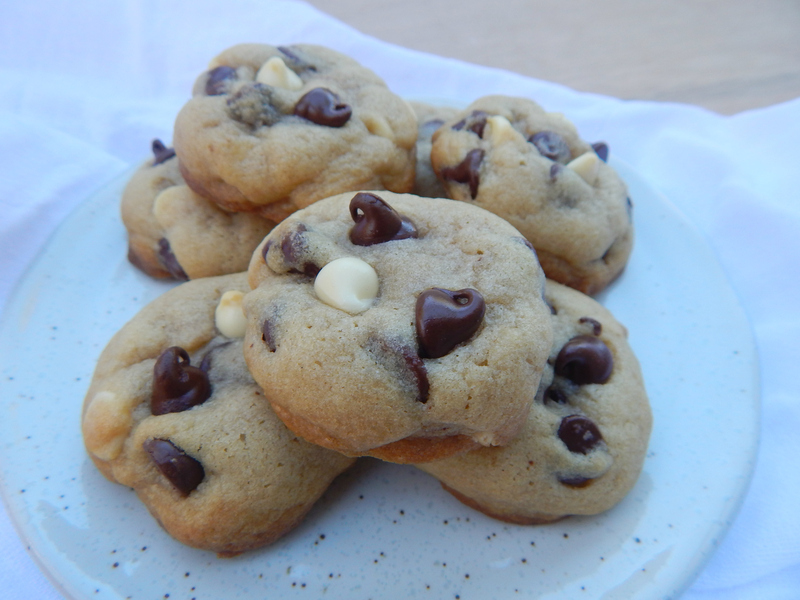 The slight coconut background flavor is so good with the semi-sweet chocolate chips. I love these cookies because they stay nice and puffy when baked. They are soft and don’t spread out too much, but the key is to refrigerate the dough and let it firm up. Another trick is to press some chocolate chips onto the top of each cookie before baking so they look really pretty when they are done and you can easily see what’s in them. 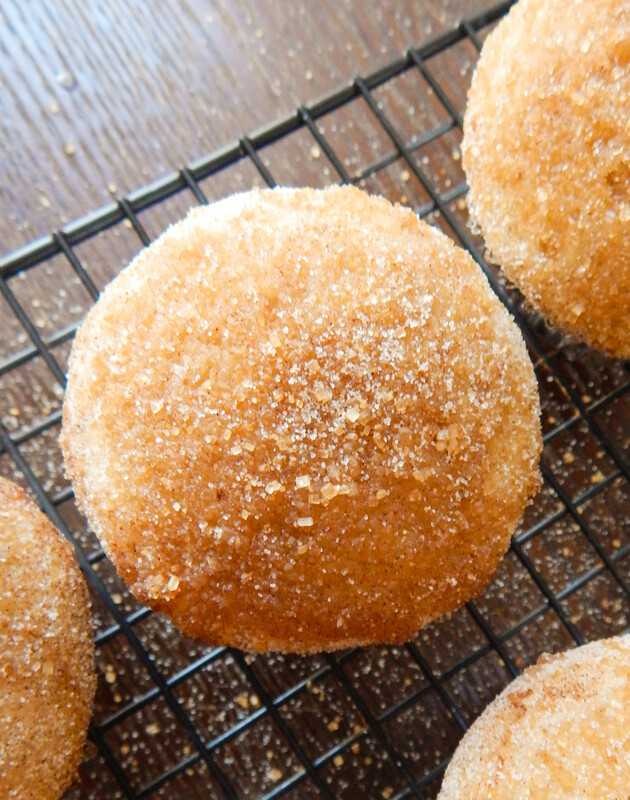 These cookies are family approved and husband approved. Well, sort of. My husband has a very small sweet tooth. I mean, it’s almost nonexistent which is sad because I love to bake! Rarely is he impressed with any dessert, and I’m not going to say he was in love with these cookies, but he enjoyed them. It’s okay though, because I was in love and so was everyone else who tried them. So just ignore my husband, the only cookie he really likes is oatmeal raisin anyway… boring! Extra: Chocolate chips to press on top of the cookies before baking. 1. In a large bowl mix together coconut oil, butter, and sugars until creamy using a hand mixer with beaters or stand mixer with a paddle attachment. Mix on medium speed for 2-3 minutes. Add in egg and vanilla and mix until well combined or about one more minute on medium speed. 2. 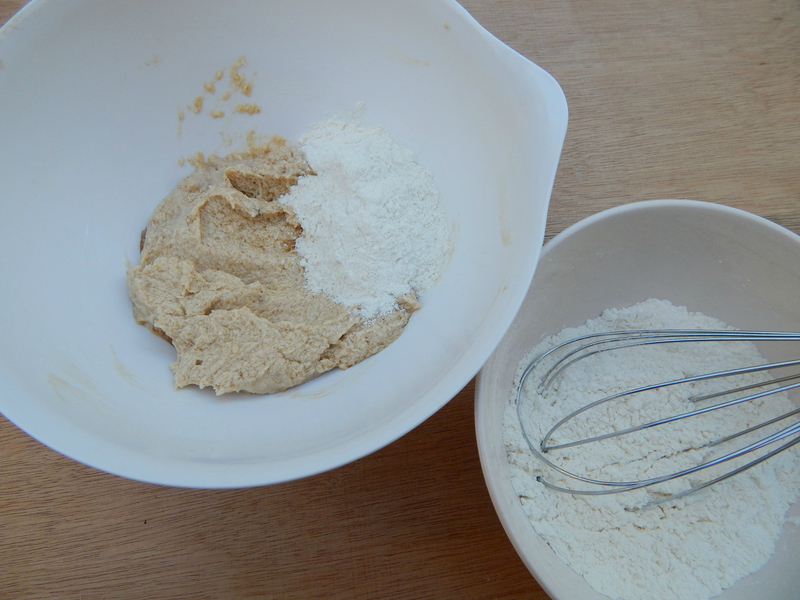 In a separate bowl whisk together dry ingredients: flour, corn starch, baking soda, baking powder and salt. Mix dry ingredients into wet ingredients bowl by adding in about one-third of the dry mixture at a time. Mix in on low to medium speed until just combined. Scrape down the sides of the bowl with a spatula if needed to combine all ingredients. Next, add in chocolate chips and mix in with a spatula. 3. 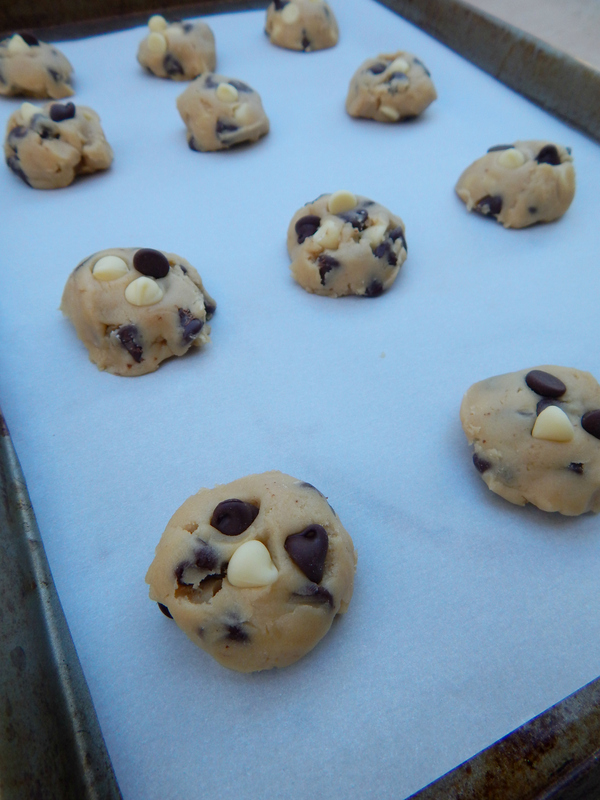 If you want to bake the cookies later or another day store the dough covered in the refrigerator until ready to bake. If you want to make the cookies right away put covered cookie dough in the freezer for 5-10 minutes to firm. Remove when ready to use. 4. Pre-heat oven to 350 degrees, and line 2 cookie sheets with parchment paper. Spoon one tablespoon scoops of dough onto cookie sheet. Shape into domes or circles and press down slightly leaving them thick. 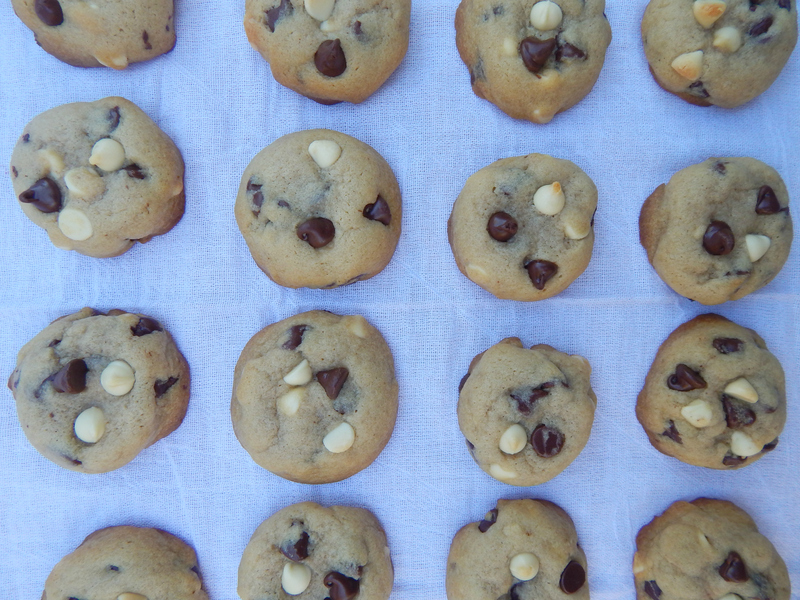 Top with 2-3 chocolate chips each. Put back into freezer for 5 minutes or refrigerate for 10 minutes. 5. Bake for 6-8 Minutes or until edges are only very slightly golden brown. Remove from oven and allow to cool for 3-5 minutes. Remove from cookie sheet and place onto a wire rack and allow to cool completely. Enjoy! 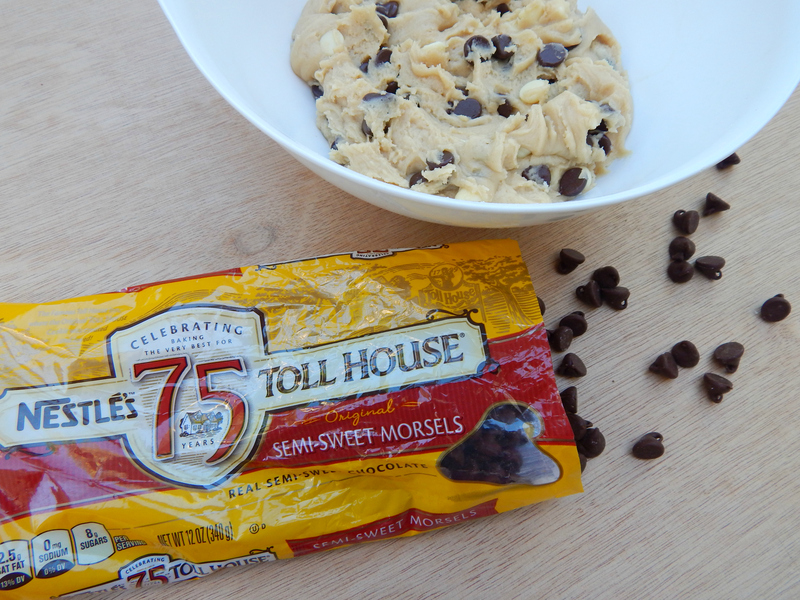 The cookie dough bakes best when it is cold, so allow the freezer/refrigerator time. Store baked and cooled cookies in an airtight container. Gracias prima! Saludos al manny y a tu novio! Y a todos… Abrazos!